An unprecedented number of Euro-Parliamentarians have backed a proposal to refer the proposed EU-Morocco Fisheries Agreement - which will be expressly applied to occupied Western Sahara - to the EU Court of Justice. On 13 February, the European Parliament will vote on the newly proposed EU-Morocco Sustainable Fisheries Partnership Agreement (SFPA). 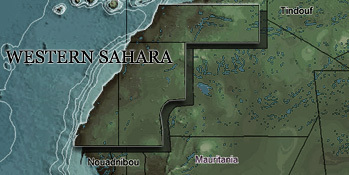 In spite of two rulings from the Court of Justice of the European Union (CJEU) concluding such an agreement could not be applied to Western Sahara as that would constitute a violation of the right to self-determination, the geographical scope of the proposed deal refers explicitly to the last colony in Africa - rendering its legal foundation highly questionable. No less than 110 Members of the European Parliament (MEPs) have signed a motion calling on the European Parliament to refer the proposed fisheries agreement to the CJEU for an advisory opinion, before casting its vote on the proposed deal. The list of signatories contains heavyweights such as the Chair of the Committee for International Trade, Bernd Lange (Germany, S&D), two Vice Chairs of the Committee for Fisheries, Renata Briano (Italy, S&D) and Linnéa Engström (Sweden, Greens/EFA), and Vice Chair of the European Parliament Heidi Hautala (Finland, Greens/EFA). Find the motion and the full list of signatories here, or further below. The motion will naturally be voted on before MEPs will cast their vote on the proposed SFPA. What is however not on the agenda of Parliament's plenary session, is an actual debate on the suggested EU-Morocco fish deal. "Astounding, given that even the Parliament's Fisheries Committee has not had sufficient time to debate - let alone thoroughly evaluate - the proposal", says Sara Eyckmans of WSRW. "It is evident that there is a lot of effort being poured into having as little debate as possible about including Western Sahara in the EU's bilateral agreements with Morocco. But one would expect the elected representatives of the peoples of the EU to at least demand the chance to make an informed decision, or to have an open discussion on this matter." Last month, hours before Parliament would vote on extending the EU-Morocco trade relations into occupied Western Sahara, leading MEP on the trade file Marietje Schaake (Netherlands, ALDE) announced that she wanted a court referral. "Asking for a legal opinion does not mean we implicitly reject the Council decision or do not wish to cherish and maintain the close ties we have with our partner Morocco. Instead, it reaffirms the value the European Parliament attaches to core principles of international law", Schaake stated. The motion to refer the trade deal to the CJEU could not muster a majority in Parliament. Find out how MEPs voted on the motion for a CJEU referral of the EU-Morocco trade deal here, as well as how each MEP voted on the proposed deal itself.